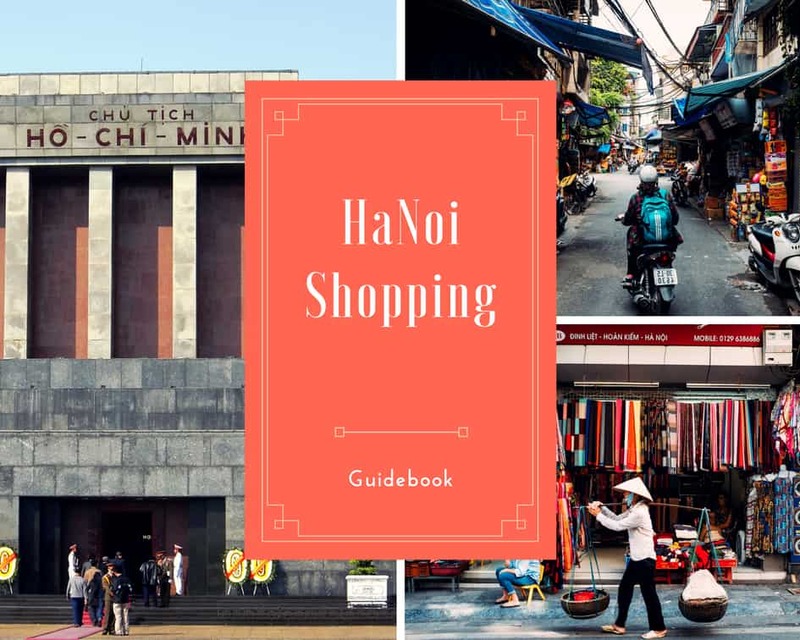 Shopping in Hanoi - What to buy and where to buy it! We wrote a very popular article focused on Ho Chi Minh City shopping awhile back, and have since had many requests for a similar piece for shopping in Hanoi. 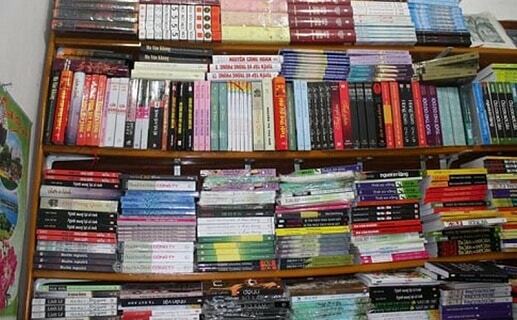 Shopping posts are difficult to do, however, because there are so many unique things that you can buy in Vietnam that it’s impossible to include everything in a single article. We think this blog post offers a fairly comprehensive list of things that most people will want to buy while shopping in Hanoi however. While shopping in Vietnam, please keep in mind that although many shops in Ho Chi Minh and Hanoi are starting to accept credit cards as payment, cash is usually the currency of choice in the rest of the country. This is a general rule though, as more and more shops are comfortable with cash-free payments; things like bitcoin are not yet legal currency in Vietnam however. If you’re uncertain, don’t be afraid to ask before you get into bargaining! Silk is everywhere in Hanoi. Scarves and sleeping bag liners are available at every tourist shop. Raw fabrics are rolled and stacked, waiting to be turned into a creation of your choosing. Finished dresses, men’s ties and Ao Dai, the traditional Vietnamese dress, are so plentiful that shops have to display excess wares on the sidewalk. Tailored clothes are another local specialty. Tailor shops will recreate designs from samples or pictures,and can make intricate dresses or high quality business suits in a matter of days. Check reviews online to determine a tailor’s quality, and be sure to leave enough time for multiple fittings and adjustments. The best known area in Hanoi for silk is Hang Gai, aka “Silk Street”. Expect to pay 25-50 USD per outfit for dresses and ready to wear clothes. Be sure to drop into Khai Silk (96 Hang Gai) and Duc Loi (77 Hang Gai). Another option is the three-story Hang Da Market (1 Hang Da st). On the ground floor you will find flowers and wine; the upper levels contain fabrics and vintage clothes upstairs. Visit early and keep an eye out for Ao Dais and goods made from Do Paper. For larger quantities or better deals on silk, cut out the middleman and take a trip out to the villages of Van Phuc or Ha Dong. Both of these villages produce silk and carry wide selections, and with skillful haggling a better deal can be gotten. Van Phuc is famous for silk sheets and is located in Ha Dong District, about 10 kilometers away from the centre of Hanoi. For other fabrics, try Ninh Hiep village. High gloss tableware is one of Vietnam’s best known crafts, one that is recognizable to many people from around the world. Introduced to the world in 1930s Paris, Vietnamese lacquerware offers a better selection and is usually of a better quality than offerings from other Asian countries. Unfortunately, many low quality mass-manufactured offerings have flooded the market. If you have a discerning eye, try your luck browsing along Hang Trong, Hang Hom and Hang Manh streets. For a more curated selection, visit MARENA Hanoi (28 Nha Chung). Minh Tam (2 Hang Bong), a 10 year old family business, offers top quality lacquerware. To buy directly from the source, visit Ha Thai village. Do paper, (pronouned yaw), comes from the bark of a wild river plant known as the Do tree. After a three month process, the bark is transformed into a durable, high quality paper. This paper is then turned into all manners of goods for you to enjoy. You can browse postcards, notebooks and stationary sets, all costing under $3, along Hang Gai or Hang Bac or check out at Craft-Link (43 Van Mieu). Another traditional craft to keep an eye open for is Dong Ho paintings, which celebrate the Lunar New Year. These woodblock prints on Do paper are made in the village of Dong Ho. Northern Vietnam produces some stunning embroidered cottons and linens. From the patterns of the many ethnic minorities to the fine art quality work found framed and hung in galleries, beautiful embroidery can be found on any budget. A large selection can be found at Dong Xuan Market (Dong Xuan St and Hang Chieu St). For better quality purchases, a trip to a specialty store may be in order. Tan My, the oldest embroidery shop in Hanoi, is located at 66 Hang Gai, but watch out for similarly named shops nearby. Once there, enjoy the plentiful selection of pillow cases, tablecloths, placemats, dresses and more. Everything in this shop has amazingly detailed designs, all of which are made 100% by hand. Two more highly recommended shops are May (7 Nha Tho) for the a nicely displayed selection and Chi Vang (17 Trang Tien) for the unbeatable quality. Hanoi is full of interesting souvenirs; you are sure to find the right gift for everyone on your list, as well as something unexpected for yourself. For wooden puppets, paper lanterns and paper fans, wander the areas close to the Water Puppet Theatre (57b Dinh Tien Hoang). For t-shirts exalting Vietnamese traffic, milk coffee, and pho, browse along Ly Quoc Su st. 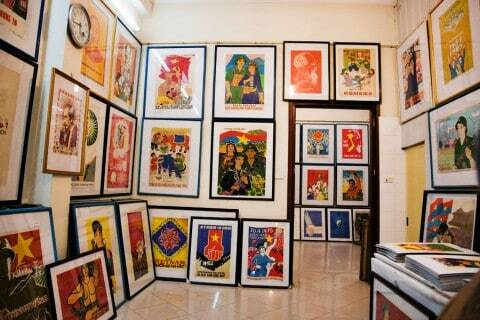 If you’re looking for something more unique, try out musical instruments at Thai Khue, (1A Hang Manh) or browse Communist Party propaganda posters at The Hanoi Gallery (several locations, try 17 Nha Chung). Vietnam traditional conical hats make great gifts. If you need to purchase a few thousand of them, try Chuong village. Here you can also find the flat-topped hats, often with intricate embroidery, known as Non Quai Thao. Vietnam has over fifty ethnic minority groups, more than any other Asian country. Most of them hail from mountain villages in the north. If you’re not making a trip to Sapa, you can still find some of the clothing and handicrafts of these industrious peoples for sale in Hanoi. Browse the woodwork, lacquer paintings, ceramics, textiles, carved Buffalo horn goods as well as a selection of clothes, bags and scarves at Craft-Link (43 Van Mieu). This not for profit organization specializes in fair trade products of a better quality at comparable products. If you don’t find what you’re looking for, visit their second location, which carries a different selection of products. For more crafts and home furnishings, as well as fair trade coffee, try Indigenous (36 Au Trieu) who donates profits to disadvantaged children. Another not for profit organization, Mekong Quilts (13 Hang Bac) focuses on offering employment and developing the community through the making of quilts. Growing from selling quilts in her friends homes, owner Thanh Truong now employs over 340 women in the northern provinces. Bamboo and rattan are incredibly versatile materials. The multitude of things you can find fashioned from them is astounding. From tiny chopstick rests to intricately woven full size chairs, rice paper drying trays to three meter tall vases, seemingly anything can be fashioned out of these materials by skilled craftsmen. A good place to browse these offerings is Bamboo Shop (4b Hang Hanh). Bargain hunters are advised to look for bamboo shops along Quang Trung st, near Tran Nhan Trong st.
To see the craftsmen at work, take a trip to Bang So village, famous for bamboo work. Another option is a short 35-km trip from Hanoi to Phu Vinh, well known for crafting rattan products. As the traditional artisans and craftsmen left Hanoi, a void emerged and today that void is filled by fashion and artwork. Lacquer paintings bridge the two worlds, creating contemporary art with ancient techniques. Hanoi has no shortage of art galleries featuring the glossy, richly colored, beautifully layered lacquer paintings, as well as high quality cloth paintings by local artists. Stroll down Trang Tien st between Hanoi Opera House and Hoan Kiem Lake and you are sure to find a number of galleries worth peeking into. One gallery you should definitely visit is Thanh Binh Gallery (25 Trang Tien), well known for high end contemporary fine art. If history’s greatest artists are more to your tastes, Hanoi has a number of painting shops that offer recreations of famous paintings by the masters. Many of these shops take requests and will work with you to create something specific. Do Manh Cuong is the most successful fashion designer to come out of Vietnam, and his Do Manh Cuong Boutique (88 Nguyen Huu Huan) is the best place to find his designs. After working for Christian Dior and Dominique Sirop in Paris, DMC returned to Vietnam, where he can be found judging on Project Runway and Vietnam’s Next Top Model. High end fashions can also be found at Ipa Nima (73 Trang Thi, 2nd location on Nha Tho). Ipa Nima carries in house designed and made handbags from Hong Kong designer Chistina Yu, as well as Spanish designed fashions from Chula (6 Ven Ho Tay) if the latter’s West Lake location isn’t convenient. Another can’t miss area in Hanoi for high end fashion is along Trang Tien st south of Hoan Kiem Lake. Be sure to check out Trang Tien Plaza, which has a large number of designer stores on the ground floor. Just watch out for locals taking wedding pictures on the sidewalk in this area. Speaking of weddings, if you’re preparing for the big day, check wedding fashions at David Minh Duc or Thu Huong, both on Yet Kieu street. If your budget isn’t as high, there are an endless supply of fake North Face backpacks and clothing in Hanoi, mostly near Hoan Kiem Lake. Be sure to pull on the seams and slide the zippers before buying though. Hanoi is full of interesting, high quality home decorations available at low prices. Check out Vietnamese House (192 Hang Bac) for a nice selection of stone carved vases and boxes. For birdcages, some with birds in them, find the small shop at the intersection of Hang Da and Hang Dieu. Mosaique Decoration (6 Ly Quoc Su) has three floors of home furnishings, from trinkets to bedroom furniture. Nearby La Casa (2 Ngo Bao Khanh) also carries beautiful locally made furniture from Italian designers. For a better selection of ceramics, take a trip to Bat Trang village. You can easily explore it on your own, as it is located just outside the urban districts and can be accessed by a taxi or bus (number 47 from the Long Bien bus station). It is a small village with endless shops. The prices are much more reasonable compared to those in the city. Shoe lovers will find paradise just off the east side of Hoan Kiem Lake, listed under the name Hang Dau st. This street is nothing but shoes and sandals, many direct from the factory with minor imperfections equalling large discounts. Fake luxury brand handbags can be found at the intersection with Lo Su street. Hang Bac, which translates to Silver St, is a dazzling maze of silver of all shapes and forms: from plain, simple rings and necklaces, stylish teapots, beautiful décor plates; to worshipping articles, such as incense holders and the four sacred animals. Silver is considered a powerful element to drive away evil spirits in Vietnam, so it’s no surprise that the silver industry prospers so much. For a finer selection, visit Phuc Tin (Hang Gai Street), a high quality silversmith with traditional Vietnamese jewelry. Bookworm (44 Chau Long) is the best place in Hanoi to refill on reading material before a long flight or bus trip. This decade-old English language bookstore is located near Truc Bac lake. O Mai and Banh Com are special treats commonly offered by Hanoians to their guests during the Tet holidays. O Mai was originally used as a remedy for sore throats in Vietnamese traditional medicine. It is made from dried apricots, seasoned with salt, sugar, ginger, chili and licorice, which gives it a nice mixture of many flavors. 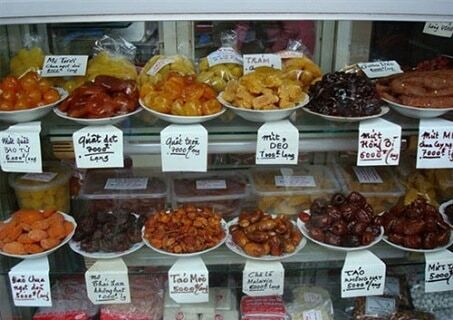 Nowadays, O Mai is not only a favorite treat for the Hanoian, but also a best-seller souvenir for any Vietnamese tourist visiting Hanoi. Aside from apricots, many other fruits are now used to make O Mai as well. Banh Com is another variety of glutinous rice products. Banh Com has a soft and chewy texture, with light sweetness and a hint of the trademark “cốm” fragrance. Banh Com is normally made without any preservatives, so eat it within 5 days after purchase. Shops selling these treats are found mainly on the Hang Duong Street (Street of Sweets/Candies). Some of the older and more prestigious shops are Hong Lam (11 Hang Duong Street), Toan Thinh (15 Hang Duong), Van Loi (34 Hang Da). For tourists of all ages, Hanoi’s Old Quarter can provide a fascinating look into the culture and history of Vietnam, making it a can’t miss destination even if you don’t plan on buying anything. For shopaholics and souvenir seekers, however, this is one of the best area to wander, browse and haggle. Famously known as the 36 streets, this neighborhood’s roads are named for the guilds that use to occupy them. This is something unique about Ha Noi old quarter that you can never find it somewhere else. Even when you visit Hoi An Ancient Town. In Ho Chi Minh city, you will have to go to Binh Tay Market in Chinatown to find this structure. Villagers in Vietnam’s small towns ofter produced one thing per village. When craftsman and merchants moved from these villages to Hanoi, they would end up living on the same street, selling the same products. Eventually, the streets of Hanoi’s old quarter came to be known for the guilds occupying each street. Salt, sugar, copper, and tin were all more than items on a shopping list, they were locations for where to find these items. Today, some of these streets retain the products of their ancient guild. Some of them have evolved to sell similar products, and some have no relationship to the past, but nearly all retain their ancient names. The following is a list of streets in the Ancient Quarter. In italics is the guild or product this street used to be known for. Following that is what is currently sold on that street, if a common theme exists. Streets marked “Same Same” still carry the goods they were named for. We hope you found this post about shopping in Hanoi helpful. For more great Vietnam travel tips, please check back with us often. Shopping in Ho Chi Minh City – What to buy and where to buy it! What to buy in Vietnam from north to south! Graham Stein is a chef, engineer, world traveler, street food aficionado, coffee addict, music lover and wanderlust king. He spends his days practicing Brazilian Jiu-Jitsu, avoiding responsibility and looking for the best noodle soups in Saigon. Very good tips for shopping and its helpful for some people. Wow! Thank you! I badly need this. Hi… i will b visiting ho chi Minh city n would like to know an area for fashion while sale. Ranging from ladies shoes, men . Clothing for men and women as well. Thanks for all the resources and the places to go.